Tickets are sorted, shirt colours dictated and all systems are go for Saturday’s Play-Off final against Aston Villa. But the biggest question of all remains – which clapper to bring? This is my clapper. There are many like it, but this one is mine. My clapper is my best friend. It is my life. I must master it as I must master my life. – Great spread on top half for maximum noise – relatively springy so compression for travel should not take away from clapping ability. – Lack of deep sentimental value due to lack of elapsed time since clapper witnessed victory – a bit like wearing this season’s home shirt. – Has not born witness to the left peg of Bobby Zamora. – Potentially slightly too concerned about statistics – new fangled clappers tend to bang on about XG. – Was in attendance the night that Clint Dempsey’s chip hit the net, proving its loyalty to the club at its highest zenith. – Brede Hangeland is on the front of said clapper, allowing user to hold up his face for the Sky cameras. – Huge sentimental value – was used to clap club to most famous victory and would love to be there to witness another. – Years out of practice has left clapper a little bit flat, meaning that potentially doesn’t make the noise it once did. – Sentimental value means that user might be reluctant to part ways with the clapper in event of excessive goal celebrations. – Still thinks John Paintsil could do a job in this team. – Very much aware that it was Rodney McAree that put the ball in the Carlisle net. – Actually walked to Carlisle because there were no trains, so should get a ticket to Wembley even though it hasn’t been to Fulham since its kids were born in 2001. – Remembers proper football so will be able to give it large to any Villa fans in the Fulham end. – Old age has done severe damage to clapper’s health and doesn’t make the same noise it used to. – Bit of a cigarette burn on it from the ‘good old days’ on the Football Specials with Mad Dog and Sniffo. – Thinks Ryan Sessegnon is a left back. – Witnessed Johnny Haynes in the flesh. 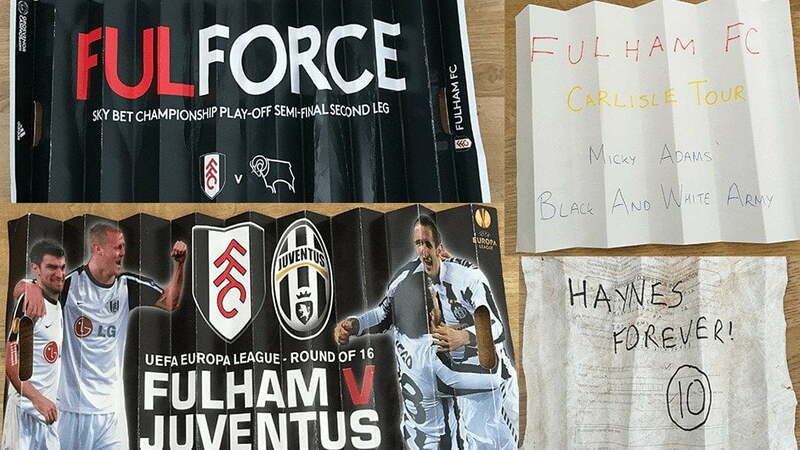 – Was alive the last time Fulham got to Wembley and is out for revenge. – Is almost threadbare from old age and can no longer really make any sound. – Won’t stop on about how Pele once said Johnny Haynes was the best passer of the ball ever, when you’re trying to watch the match.